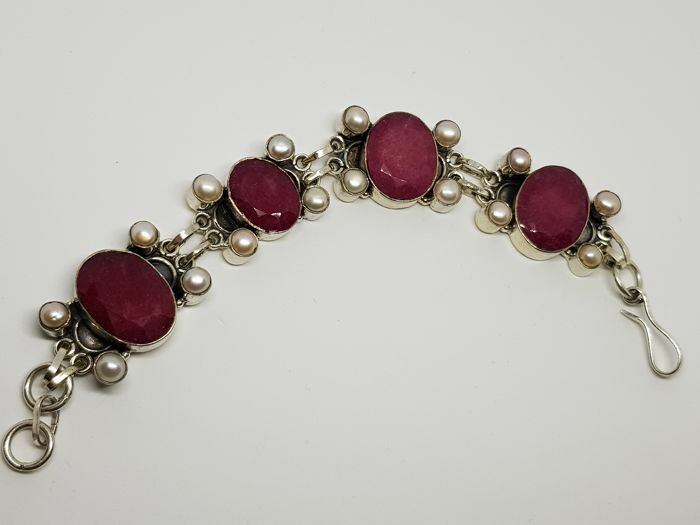 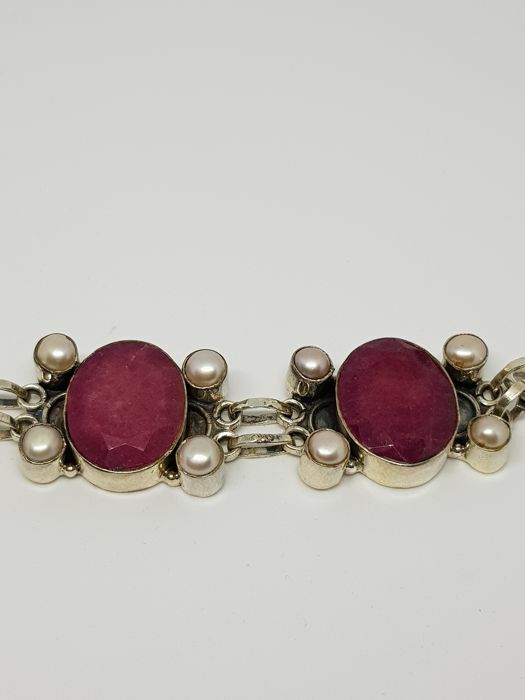 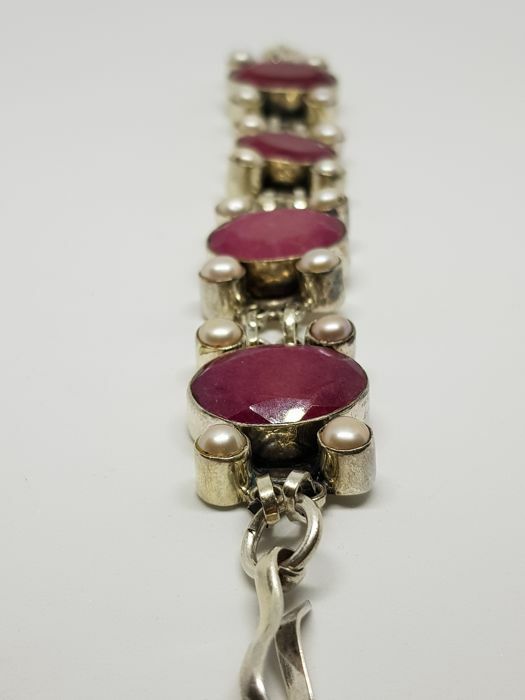 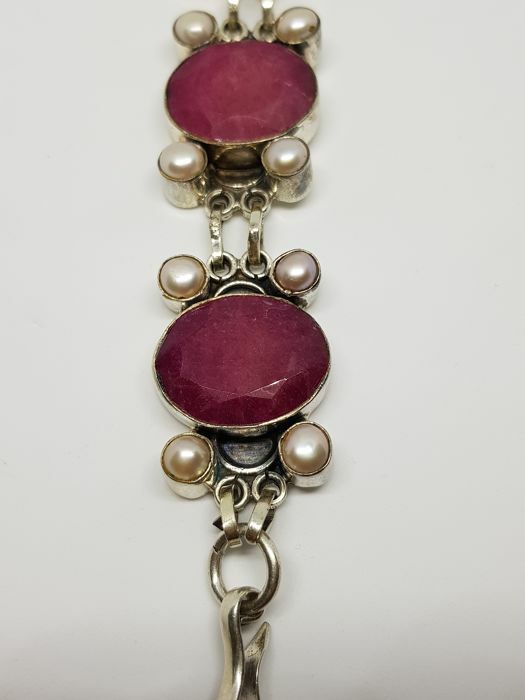 High quality antique bracelet in solid 925 silver, set with natural cherry-coloured garnets and white pearls. 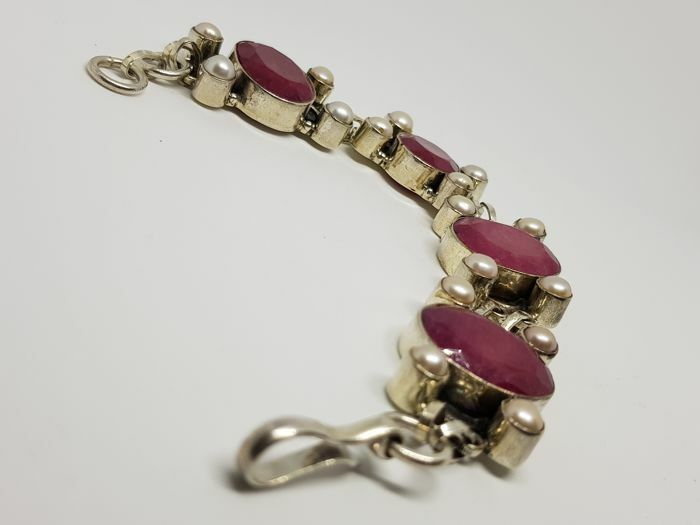 Elegant and sophisticated, in very good condition with small age-related marks. 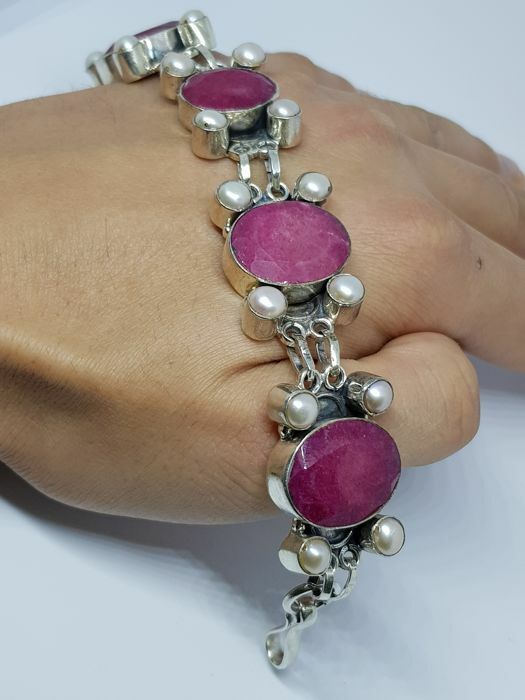 Rare, impossible-to-find item. 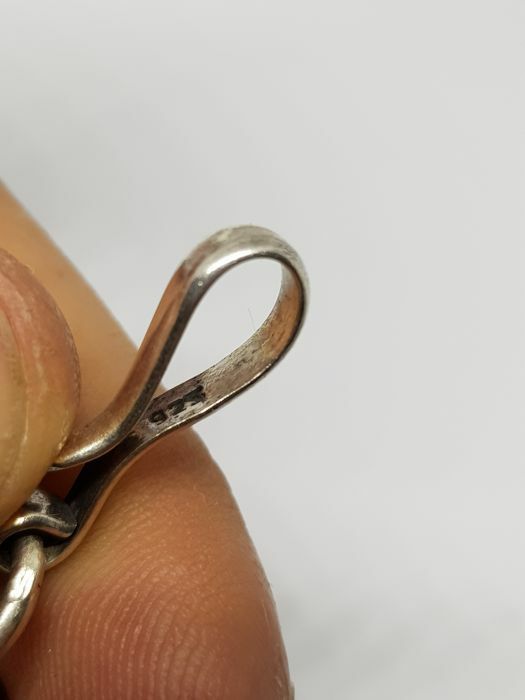 Fast, insured shipping.